Insights and Innovations for Machine & Equipment Builders, the free seminar being held at our premises on 27th June, is drawing ever closer, but you still have time to sign up. The day will be filled with sessions directed by trusted business partners, but today we will be spotlighting a Six Sigma session run by an expert of our own: Ian Knight, Chief Technical and Information Officer at PP Control & Automation. Ian Knight will be discussing the issue of productivity in UK manufacturing, and how we can compete with overseas manufacturers with a practical implementation of the Six Sigma programme. 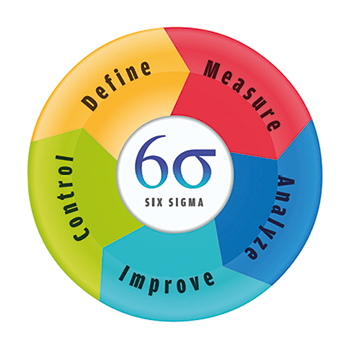 Ian aims to outline how to do Six Sigma right, rather than simply adopting it as a passing fad. As a Six Sigma Black Belt, Ian has seen the progression of PP Control & Automation over a prolonged and dedicated period of adhering to Six Sigma methodologies. Ian knows how the programme can be done right, and how it can be done wrong; he aims to help businesses achieve the former, while educating on the latter. There are so many different explanations to this question, that engineers at the start of their Six Sigma journey can often get lost in the translation. One of the easier-to-understand definitions is that ‘Six Sigma is the implementation of a measurement-based strategy that focuses on process improvement and variation reduction through the application of improvement projects’. The key message here is ‘measurement-based’, not ‘opinion-based’. Ian started at PP in 1996 as a Panel Wireperson and progressed quickly through various departments and leadership positions, such as Production Manager, Operations Manager and now his current position of Chief Technical and Information Officer. His commitment to continuous improvement has seen Ian become a Six Sigma Black Belt and a key influencer in the growth, improvements and new initiatives implemented across the business. This journey has ensured that Ian possesses a well-rounded, intimate and functional knowledge of all areas of the business.